Go Fishing Aboard Mindarie's #1 Rated Company! If you're looking for five-star fishing charters in this pleasant Perth suburb, WA Fishing is calling your name. Our company can offer you a customised fishing trip that leaves most days from Mindarie. If you want to explore Direction Bank, we can accommodate your wishes 100 percent. Our fishing charters are perfect for people who want to go after snapper and Baldchin groper fish. They're also perfect for people who want to search for the mighty Dhufish. We can help you troll for all different varieties of surface fish options. We can accommodate your jigging preferences as well. If you're on a quest to locate Samson fish, your wish is our command. We regularly welcome passionate anglers who are committed to going after Dhufish. If you're part of that category, then you should reserve one of our fishing charter trips without a second of delay. WA Fishing is a fishing charter business that's suitable for people of all different abilities. It doesn't matter if you're a beginner. It doesn't matter if you're an expert with ample experience under your belt, either. Why Mindarie for Your Next Fishing Trip? 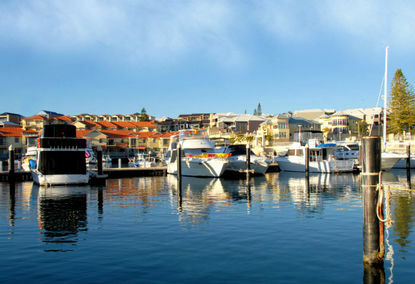 Mindarie is a suburb of lively Perth, Western Australia's cosmopolitan capital city. The community is an outer coastal destination that's about 36 kilometres way from the Central Business District. Mindarie is home to quite a few attractive natural spots. People who visit Mindarie regularly stop by its massive parks and bushland reserves. 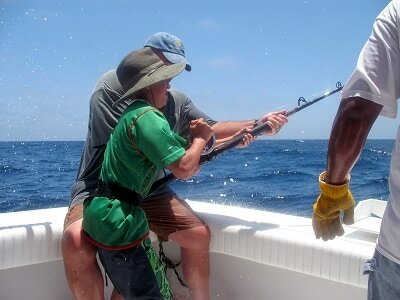 ​We can provide you with Mindarie fishing charters that will surpass all others. We specialise in day fishing trips that come with an abundance of perks, highlights and conveniences. If you want to work with the finest choices in reels and rods around, you can trust us. We also present our customers with tackle, soft drinks, ice cold H20, lunch and light snacks of all varieties. Can you say 'convenient'? That's not all we do, either. Our crew members offer in-depth filleting and cleaning assistance. If you happily catch a coveted fish, you never have to take care of filleting and cleaning duties on your own. WA Fishing works hard to give our customers pleasant, relaxing and smooth fishing trip experiences in Mindarie. That's why so many people give our company the 'thumbs up'!